Delaware Arts Info: A Night of Music & Friends for the Arts in Wilmo! A Night of Music & Friends for the Arts in Wilmo! 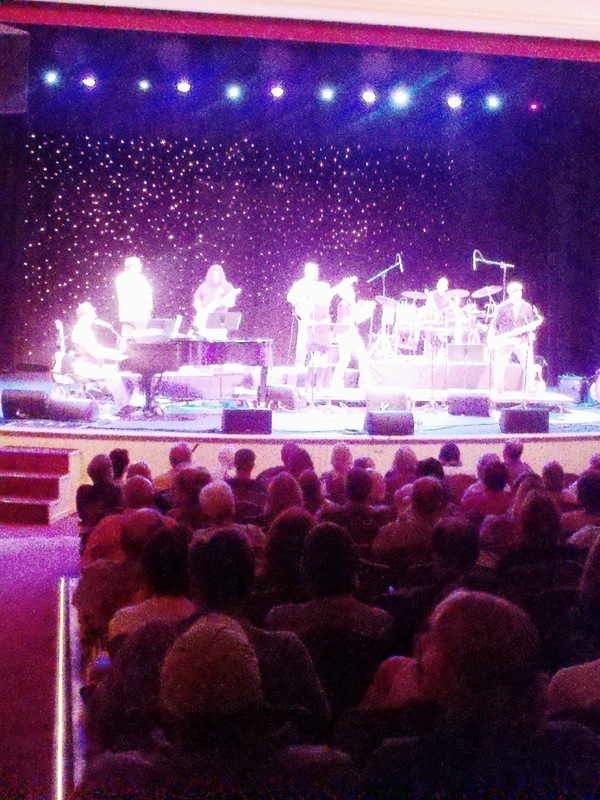 Last night, Wilmington and the Baby Grand on Market Street were buzzing from the energy of a killer concert for two excellent causes. The Joe Trainor Trio (Joe Trainor, vocals/piano/keyboard, Kevin Neimi, bass & Jeff Dement, drums) are fantastic local musicians with huge philanthropic hearts. 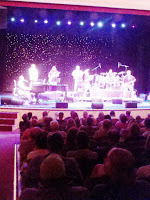 They put together a blowout tribute to the music of Billy Joel with a few of their most talented friends, and their performance was a benefit for The Arts Academy at the Grand and City Theater Company (CTC). 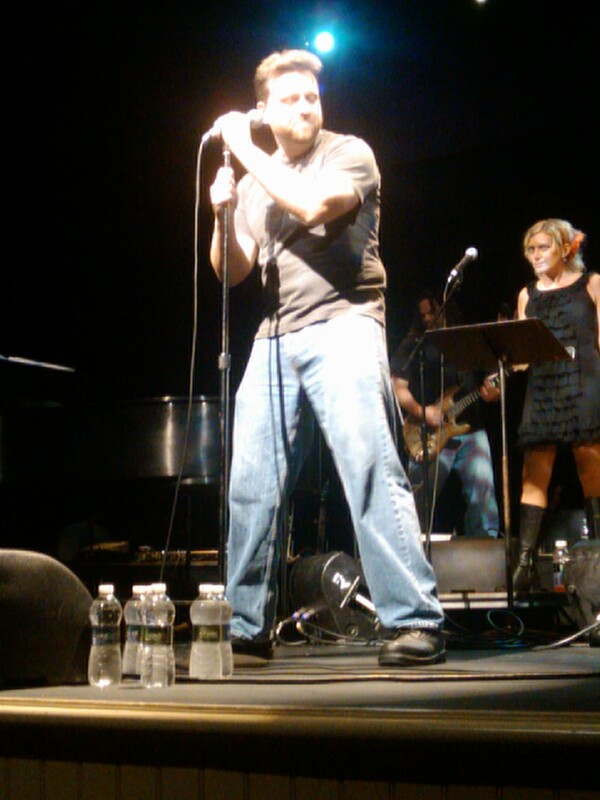 Billed as JT3 & friends present the music of Billy Joel, the evening featured musicians Chuck Kuzminski (lead guitar); Kerry Kristine McElrone (vocals); Jill Knapp (vocals/percussion/saxophone) & Matt Casarino (vocals/guitar/saxophone), who are known as the musical duo Hot Breakfast. Special guest performers were CTC Artistic Director Michael Gray (vocals), Melissa Joy Hart (vocals), Stephen Manocchio (guitar/harmonica) and Gordon Holmes (vocals). It was quite a full stage, and this musical gang had the near-capacity crowd hooting, clapping and eventually dancing in the aisles. It was also clear that the group enjoys performing together: laughing, dancing and mugging to the crowd and each other throughout the sets. The group performance of "Only the Good Die Young"
The rousing closing performance of "Piano Man"
Trainor is tremendously talented in so many respects. He's fun to watch, his voice moves you, and he has an incredible knack for aligning musicians to produce a knockout musical punch. (I sat next to his former music teacher during the show, and she was just beaming.) JT3 and this collection of musicians are local gems that I think everyone should celebrate---for their talent but also their willingness to share it for the greater good of the Arts in Wilmington! Wilmington Children's Chorus Goes Abroad!